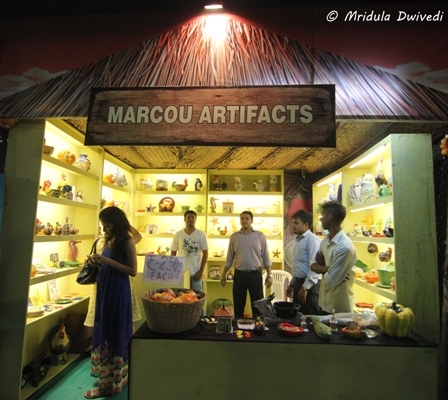 Where do you find good food, good music and handicrafts at one place? 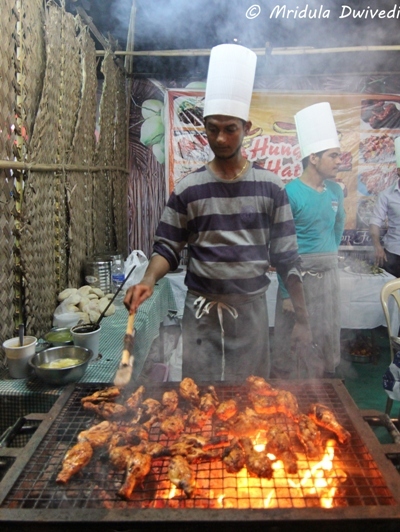 It is the Goa Coconut and Cashew Festival 2015 which is going on till 3rd May, 2015. I attended the first two days of the festival that started on 29th April. The venue is the Campal grounds. 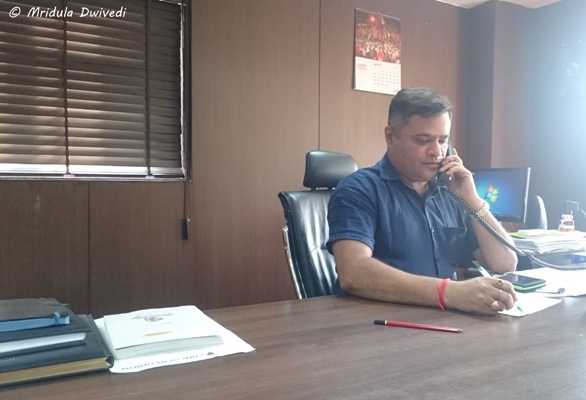 Before the start of the event we met the Goa Tourism MD Mr. Nikhil Desai. He briefed us on the event. One of us told him that Goa anyway gets tourist, they don’t need to market it. He very reasonably said that the competition is hotting up hence they also need to be ever vigilant. 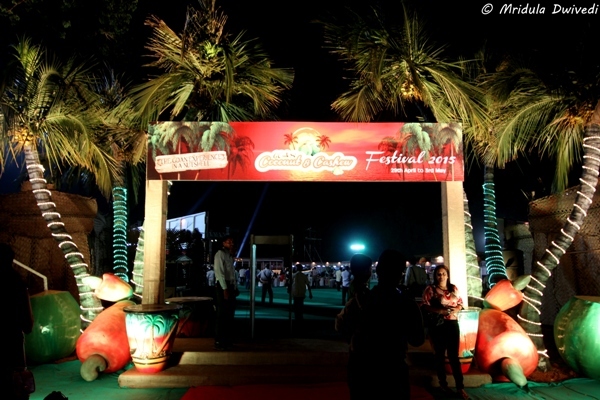 The venue was decked brightly in the festival theme, coconut and cashew being prominent everywhere! Even on a working day the venue was crowded. 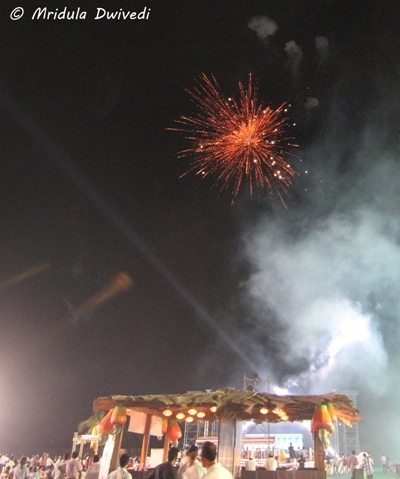 The festival started with a show of fire crackers. 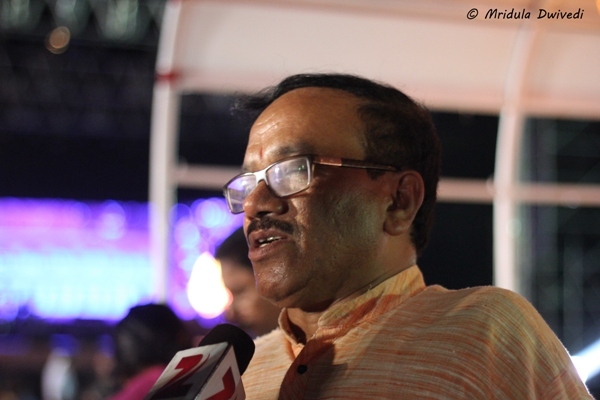 Both the chief minister of the state Laxmikant Parsekar and the tourism minister Dilip Parulekar were at the venue. I was surprised that I could walk right up to the chief minister while he was talking to Zee TV. A member of the Goa Tourism team gave me the thumbs up. He was not cordoned off from the public! I clicked this picture using 50mm prime lens, which means I got really close. I am sure he had security but it was not in your face. One of the famous by-product of cashew is feni, the popular local Goan drink. The local distillers were present in numbers. I was told that you cannot take feni or other liquor out of Goa by road. Both Karnataka and Maharashtra have check-points and a strict policy against bringing outside liquor. I could take out a souvenir bottle of feni out through the airport. 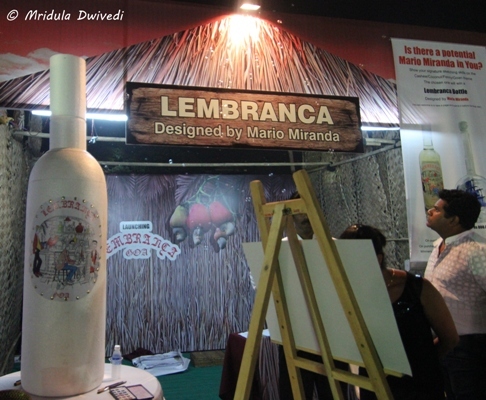 This was the bottle of Lembranca home, with the label designed by the famous Mario Miranda. The bottle has been opened now. You would have more choice of food if you were a non-vegetarian at festival. But vegetarians have some options too. I quite enjoyed peas and cashew pulao with vegetable xacuti. 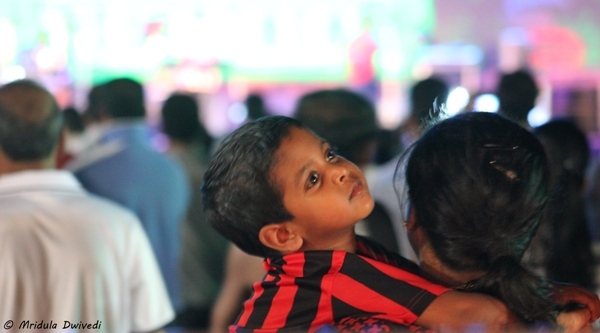 It was a scintillating evening where local groups threw in great performances. Then there was Lorna. 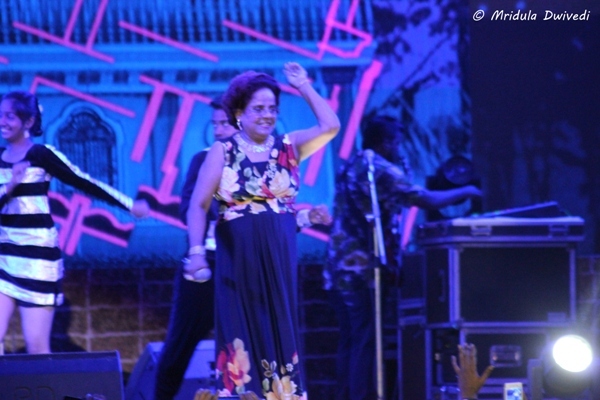 Lorna is a very popular singer and known as ‘Nightingale of Goa’. She serenaded the audience with her songs for over an hour. I do not understand the finer nuances of music but it was a privilege to sit and listen to her, she has such a lovely voice. These energetic dancers were part of Lorna’s troupee. It was fun to see them sway perfectly to the music. I also loved the way this fan would dance to Lorna’s music in the lap of his mother. After about five minutes mom was just too tired to hold the dancing kid anymore! On the second day I saw supercharged Rodney. He was singing the popular Bollywood numbers along with the local hits. I stood quite close to the stage and watched the performance for a while. The speakers would literally shake my eardrums. 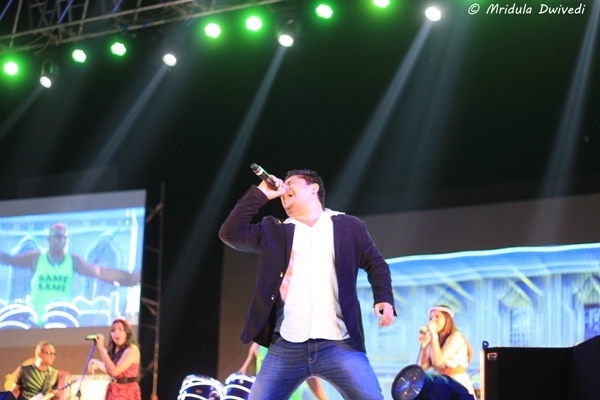 It was a revelation to me the way he engaged with the crowd and built the performance! 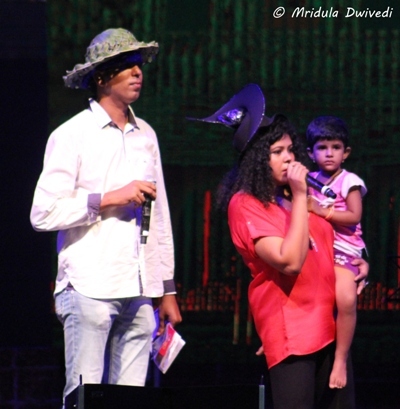 During the festival there was a poignant moment when the anchors brought a lost girl to the stage. The girl was so agitated that she would not tell her name to them. 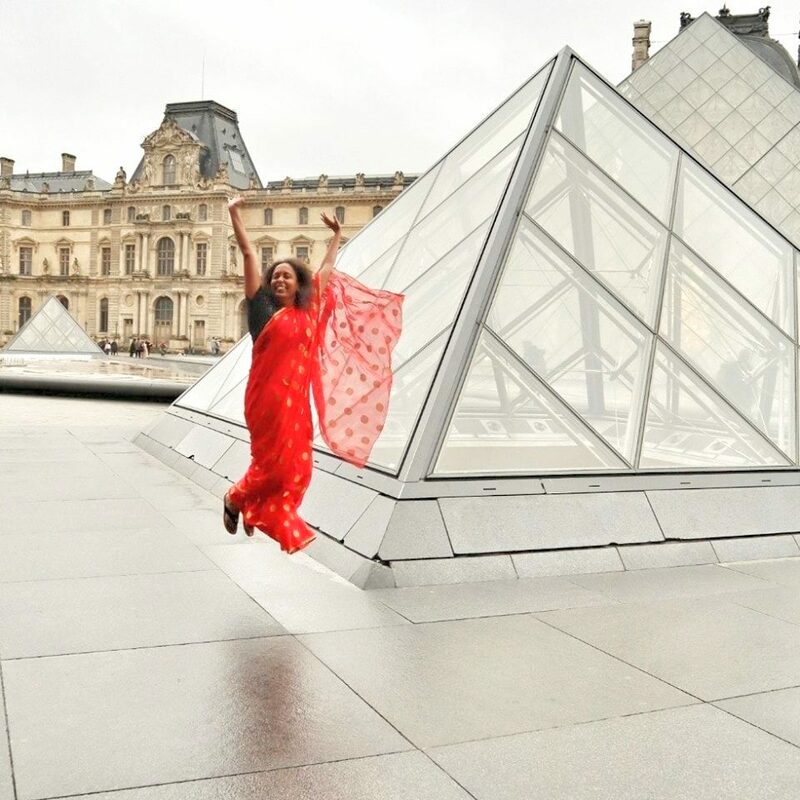 As Chhavi is almost the same age, I could feel the terror of losing your child. There were handicrafts to carry home as well. Overall it was a fun festival. 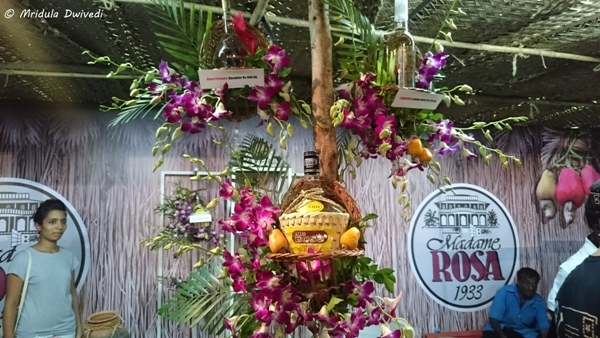 If you are in Goa till May 3rd 2015, do check out the Goa Coconut and Cashew Festival 2015. And enjoy Goa as well. PS. I was invited by Goa Tourism to visit Goa and attend the festival.